Materials: yarn, doilies, potholders, lace. 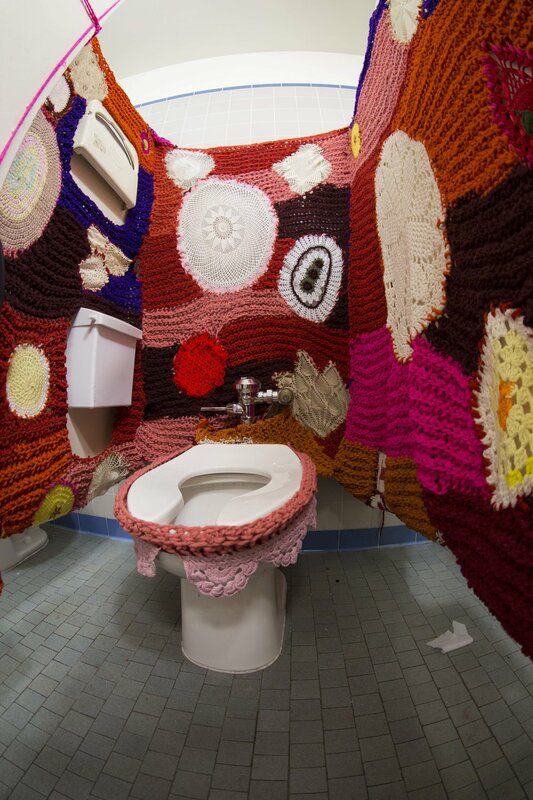 This is a hand-crocheted and site-adaptive piece. The doilies were collected from a variety of thrift stores and estate sales. The yarn is found and was hand-rolled into balls from a tangled mass before it was hand-crocheted. Curator's Choice in the Museum of Contemporary Art San Diego's 2015 25 & Under Competition.